Mike was born in Great Falls, Montana on July 30, 1946 to Loren “Larry” O’Connor and Helen (Larson) O’Connor. He grew up and attended elementary and high school in Nashua, Montana. 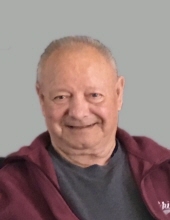 After graduating from high school in 1964, Mike joined the Army National Guard and finished his service with the Army Reserves after being honorably discharged. On June 29, 1968 Mike married his high school sweetheart Maryann (Burns) O’Connor in Glasgow, MT where they called home for a short time. It was then that Mike began his career with Montana Power Company reading meters. He was later accepted into an apprenticeship as a lineman in Havre, MT. While in Havre, Mike and Maryann welcomed their first child Kristi in 1971. In 1972, Mike and his family moved to Great Falls, MT where he continued work with Montana Power. In 1974, Mike was promoted to the Town Manager position in Fort Benton, MT. Mike was quick to make friends and knew that this was the place he wanted to raise his family and call “home”. After building their family home with his friends, Mike and Maryann welcomed their second child, Brent, in 1975. Mike was a dedicated employee to Montana Power Company and provided exceptional service to the community of Fort Benton. On May 13, 1982 Mike was injured in a work-related accident in Loma, MT leaving him paralyzed. At the time of his accident, doctors gave him only a few years to live. Mike refused to let this slow him down and he beat the odds. In 1983, he became the high school’s Athletic Director, dedicating himself to the school’s athletic programs. He served in this capacity until 1994. After stepping down, Mike remained active in the community serving on several boards. One of his fondest passions was the Volunteer Fire Department. In 2018, the Longhorn Booster Club awarded Mike his second “Booster of the Year” award for his longstanding support of school activities. He loved his family, the community of Fort Benton, high school sports and Montana Grizzly Football. He made friends wherever he went. He enjoyed playing cards, watching college basketball and football, and going to coffee and “bushing” with his coffee crew. He was most excited when the crew included his grandkids as they were sure that grandpa would end up losing and have to pay for their treats. He could often be found around town riding his four-wheeler or in more recent years driving the side by side that the grandkids named the “croc”. He was proud to tour them around the town and recently was afforded the opportunity to allow his grandson Michael to take the wheel. Mike and his wife Maryann, his best friend, would face many struggles through their years, but together they would fight them. Their dedication and love for one another was remarkable. Their positive attitude in the face of adversity was an inspiration to all who knew them. The community of Fort Benton, family and friends from throughout their life provided amazing support, kindness, and generosity that will forever be remembered. Mike’s spirit was nothing short of amazing. He was an inspiration to all that knew him. Despite injury, illness and loss, he met every challenge with a smile on his face and rarely a complaint. Through example, he taught us kindness, humility and perseverance. He was an amazing man and the world was a better place with him in it. While our hearts are broken, we find solace knowing that he is with his true love, Maryann, whom he has so greatly missed for almost two years. Mike was preceded in death by his wife and love of his life, Maryann; parents, Larry and Helen O’Connor; brother, Daniel; and in-laws Donald and Anne Burns. He is survived by siblings, Patrick (Nan) O’Connor, Kathleen (Jim, deceased) Nicholls, and Colleen (Martin) Johnson; daughter Kristi (Dwynn); son Brent (Lauren); grandchildren Jeremiah, Madalyn, Hadley, Michael, Tyler and Olivia and many nieces and nephews. A celebration of life will be held Friday, April 5, 2019 at 2:00 pm at the Fort Benton High School Gymnasium, 1820 Washington St. followed by a reception at the Montana Agricultural Museum, 1205 20th Street, Fort Benton. Mike was not one for formal attire so please feel free to wear your favorite Montana sports apparel in his honor. A private burial for family will occur at a later date. In lieu of flowers, Mike would be pleased with a donation to the Longhorn Booster Club, Choteau County Cancer Support Group or the Deadman Animal Foundation. To plant a tree in memory of Michael G. O'Connor, please visit our Tribute Store. "Email Address" would like to share the life celebration of Michael G. O'Connor. Click on the "link" to go to share a favorite memory or leave a condolence message for the family.